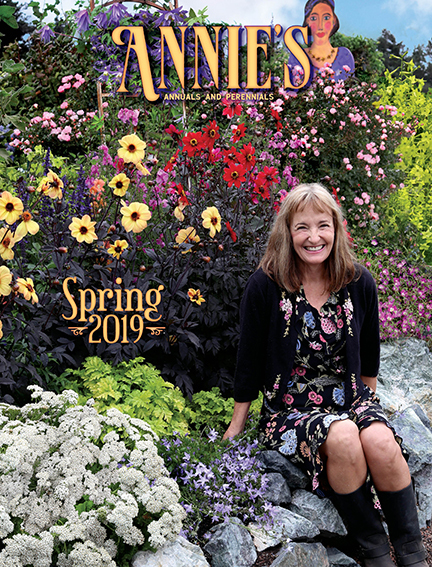 Meet Anni Jensen – seed propagator here at Annie’s and devoted vegetable gardener. 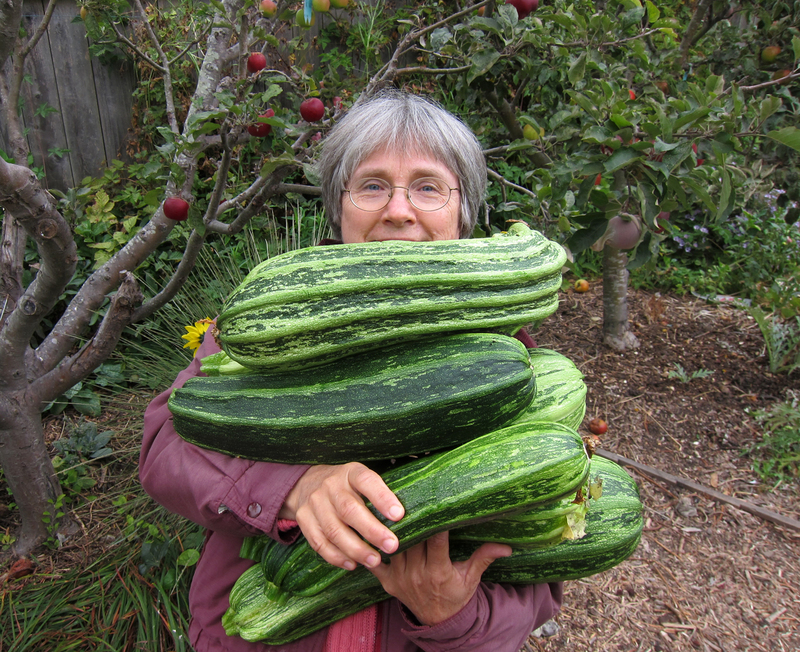 She and her wife, Carol, harvest something delicious from their small Richmond garden nearly 12 months out of the year. What’s this dynamic duo up to right now in the garden? 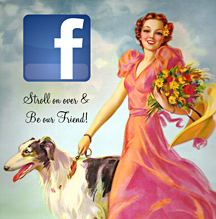 Well – read on! Carol under a pile of the last ‘Costata Romanesco’ zucchini. Fall has crept up on us, and we now find ourselves enjoying the crisp air and the warm sun as we survey our late Summer gardens: the last berries, Summer crops producing but slowing down, our ever-challenged tomatoes still trying to mature. 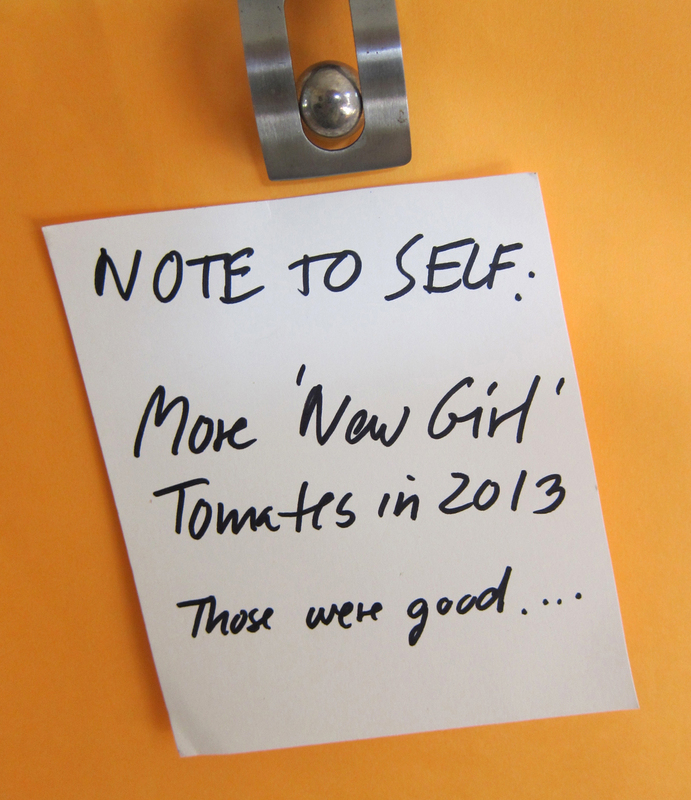 We note what we tried this year that worked, the things that did not quite work and how to make 2013 an even better garden year. We are also busy: the apples and pears are getting ready, and we naturally swing into eating, harvesting and preserving mode. We are not the only ones who like fresh produce. 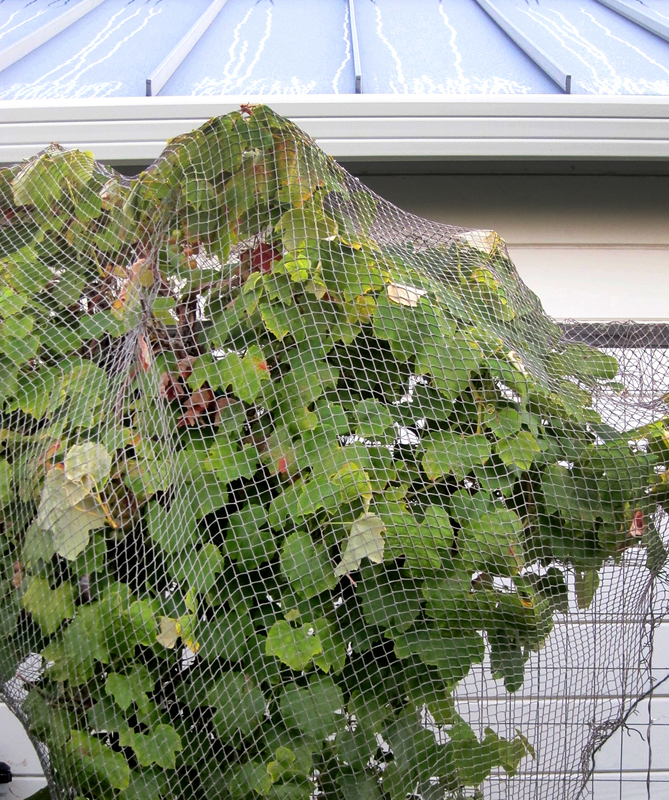 Raccoon proofing the ‘Emeryville Pink’ grape. 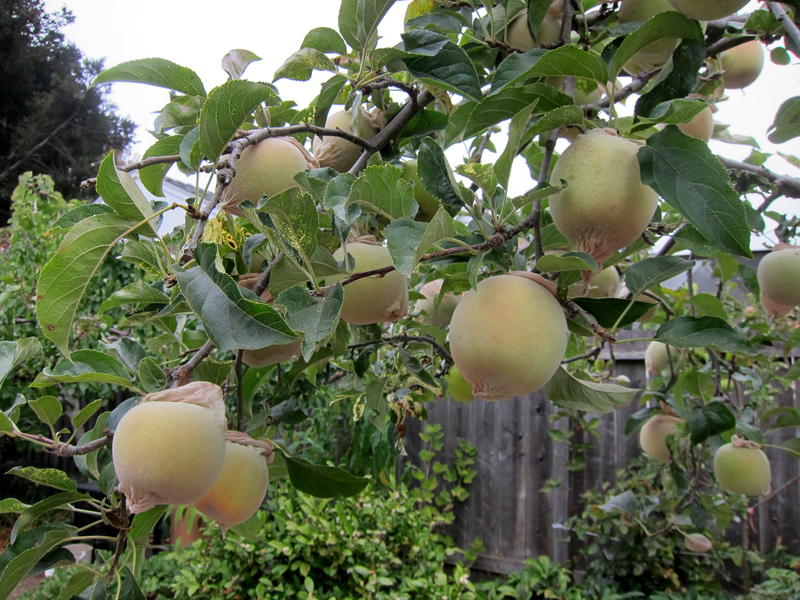 The apple tree needs support hose – to keep pesky critters from harvesting the fruit before we do. 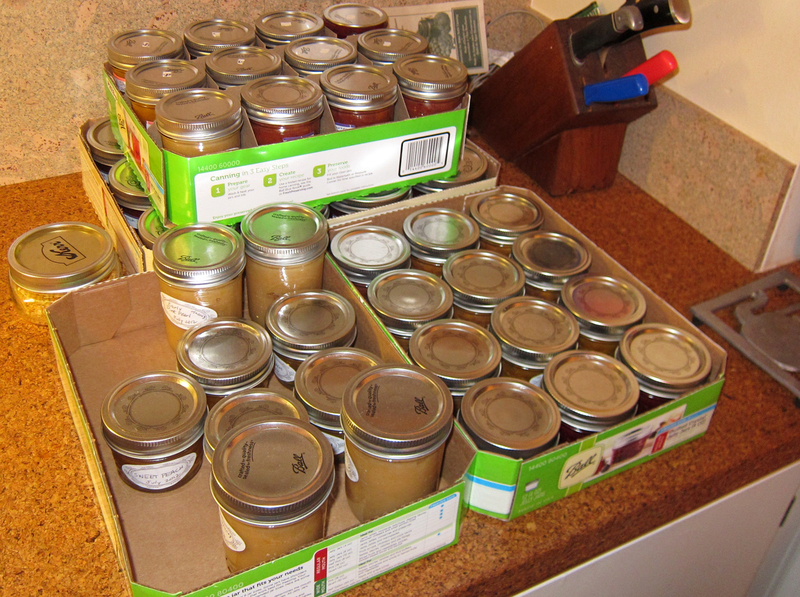 We have made a lot of jam using the Blue Chair Jam Cookbook, and we now understand why those little jars are pricy: it takes a lot of fruit to make jam like that. But it is so good. Soon the food hydrator will be humming, full of apples slices and tomatoes. So when I say: plant your Winter vegetables NOW, you may protest. You are not done with Summer yet. This is the paradox of living in Northern California, so unlike the scenarios that many of us grew up with. We used to clean up the garden and then put it to rest for the Winter. Yet, the moment when we are wrapping up Summer, we have now to unwrap our memories of the incredibly bountiful Winter gardens we can have in the San Francisco Bay Area. In many ways, it is easier to grow vegetables here during the Winter than during the Summer. The Winter rains will take care of them and all you really need to do is to go out and harvest. But before you can do that, you will have to plant them. And there is the rub… you have to do it now. Most Winter vegetables need to be planted early and grow strong before the days get short and cool. If they don’t get to do that, they will not do much for you. The broccoli heads will be puny, the tatsoi will not become a foot wide, the cabbages will disappoint you. And then they will bolt in February, as they are naturally meant to do, leaving your plates wanting and you wondering what went wrong. So I slather a slice of bread with that incredible jam and take it out to the garden. I take a bite and then a fresh look at the garden beds. This is the moment when I often feel conflicted because the beds still seem full of Summer vegetables. The Summer vegetable garden in its full glory. However, I am kept strong by visions of steaming bowls of soup with young leeks and peas, heaping piles of thinly sliced kale or chard sauteed with garlic, crunchy coleslaw, salad bowls full of greens so fresh you can’t buy them like that at the farmer’s markets. I am comforted by memories of clear frosty mornings when the broccoli and lettuces are edged with hoar frost, as pretty as any Summer flower garden. 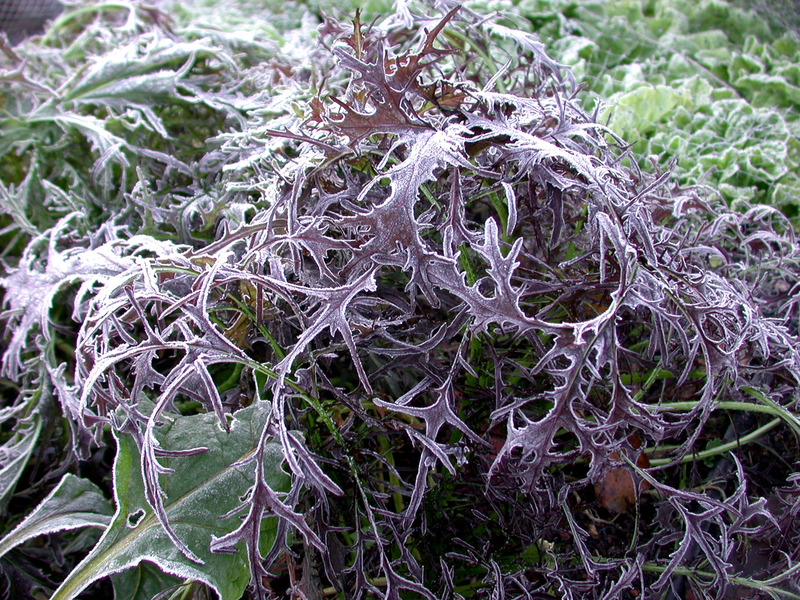 Hoar frost on Mustard ‘Ruby Streaks’. My desire for the Winter garden takes over and I decide where I am going to grow my Winter vegetables. I get some compost and rejuvenate the areas; many of the Winter vegetables like rich soil. If no compost is available, I can temporarily get away with adding some blood meal under the seedlings as I plant them. I will compost later; perhaps some buy grape compost at Annie’s. Then I look for plants. Even though I have been told that most people have not thought of their Winter garden yet, we have lots of vegetables waiting for you at Annie’s. I made sure they were ready earlier than usual because I really want you to have them at the right time. Some of them are classics, mainstays of my Winter garden because they have proven themselves worthy. Some are recent discoveries that I want to grow again. 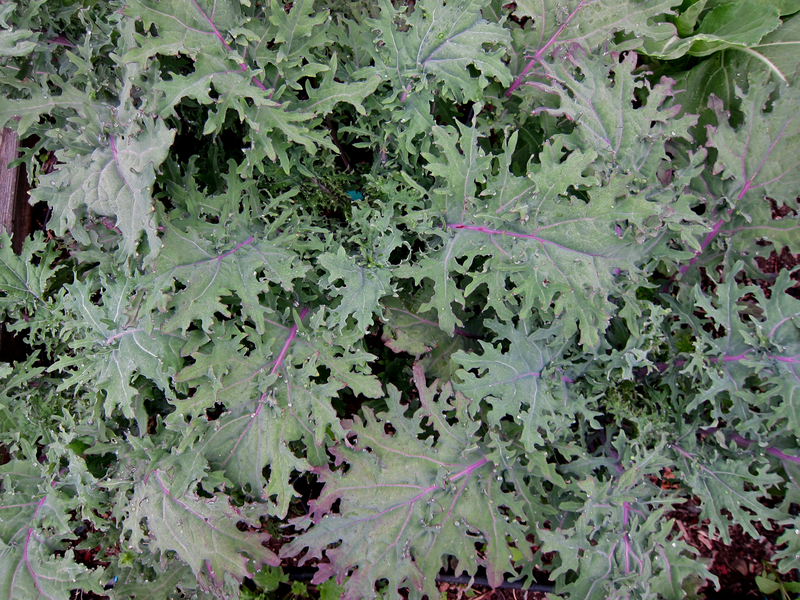 Heirloom ‘Russian Red’ Kale remains a staple in community gardens today. The ‘Red Russian’ Kale, sweet, and tender with knock-out wavy-edged red leaves is a true heirloom, brought to Canada around 1895 and now found in every community garden I have visited. Many gardeners passionately refuse to grow any other kale. Myself, I also like dinosaur kale, an Italian heirloom with dark and gloriously buckled leaves like imaginary dinosaur skin. Together they really give you something striking to look at in the garden, as well as being quite versatile in the kitchen. If you tried to grow broccoli during the Summer, you may have decided it was way too much trouble. Aphids, cabbage loopers – usually not a happy plant. 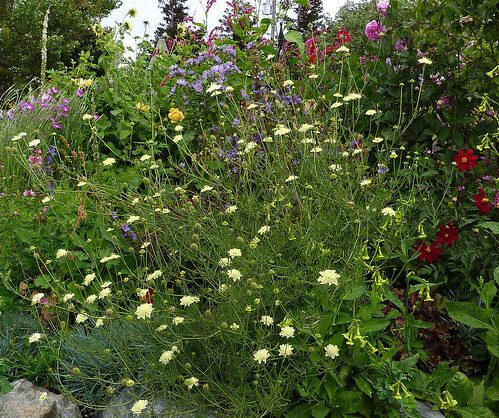 But broccoli really shines during the cool season and becomes a different creature in the garden. ‘Waltham’ is new to us and is bred especially for Fall planting. ‘Apollo’ gives you less of a head but more totally delicious broccolini florets. 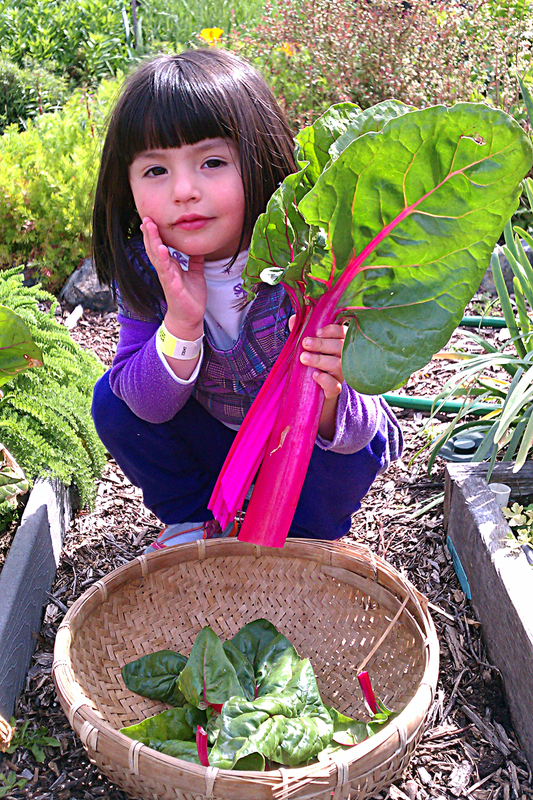 Little Valentina amid ‘Magenta Sunset’ Chard. Photo by Catalina Castillo. We have chard in various beautiful colors of red and yellow (‘Annie’s Mix’) or ‘Magenta Sunset’ (presented here by Valentina). The stems are usually braised and the leafy part is used like spinach – but if you harvest the leaves young, you can dice the stem, cut the leafy part into ribbons and cook them together. If you like chard, you can really get a lot of food out of a few plants. If you are not so keen on chard, try cooking it for 45 minutes with onion, cilantro, garlic and paprika. It will end up silky and fragrant and the dish will probably convert you. 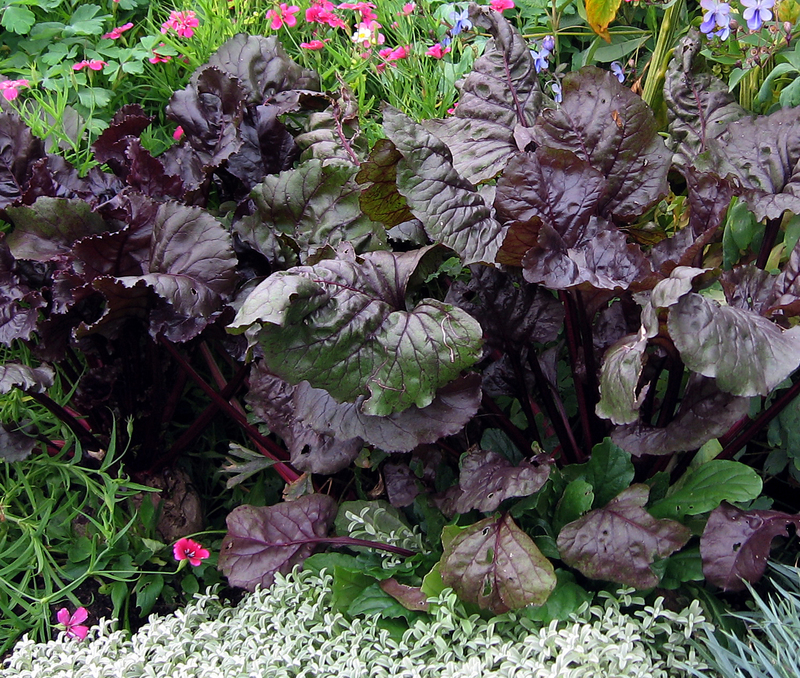 Not only delicious and nutritious, beets provide beautiful foliage for the garden. I love beets. We have ‘Bull’s Blood’ beets, sweet and tasty with metallic red leaves. If you pick the leaves small they are great in salads. Golden ‘Touchstone’ beets are very mild and will not color your prep hands red. And ‘Chioggia’ is beautifully banded inside red and white. If that “too earthy” flavor bothers you in commercial beets, try eating your beets before they get big and you will probably be surprised. No need to pickle them to make them edible. Not that a beet lover minds pickled beets. 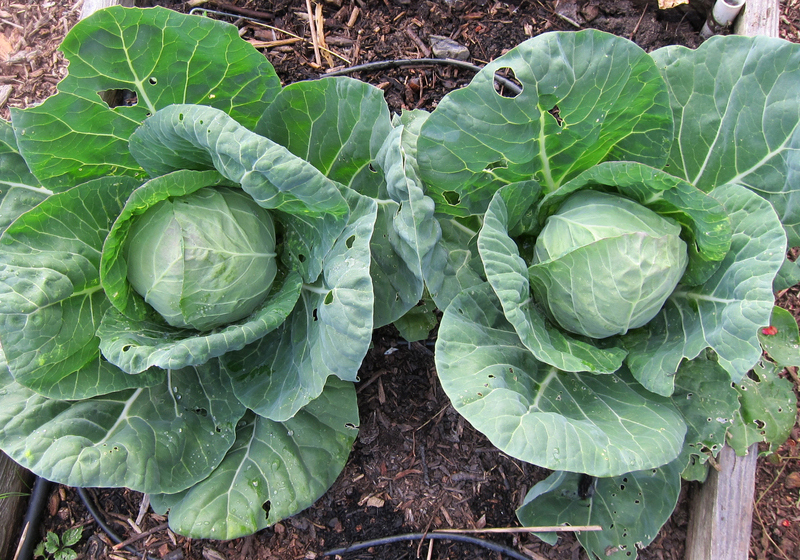 A pair of mini ‘Pixie’ cabbages tucked nicely in their beds. Cabbages are often so difficult to find a space for in the small garden with their large leaves camouflaging a head somewhere in the center. ‘Pixie’ turned out to be a winner last year, small (it’s true, you can plant them 1 foot apart) with a head just the right size for a small household. But if you have the space and desire vats full of sauerkraut, ‘Filderkraut’ is the one for you. There’s nothing like a fresh and crunchy snap pea, straight from the vine. 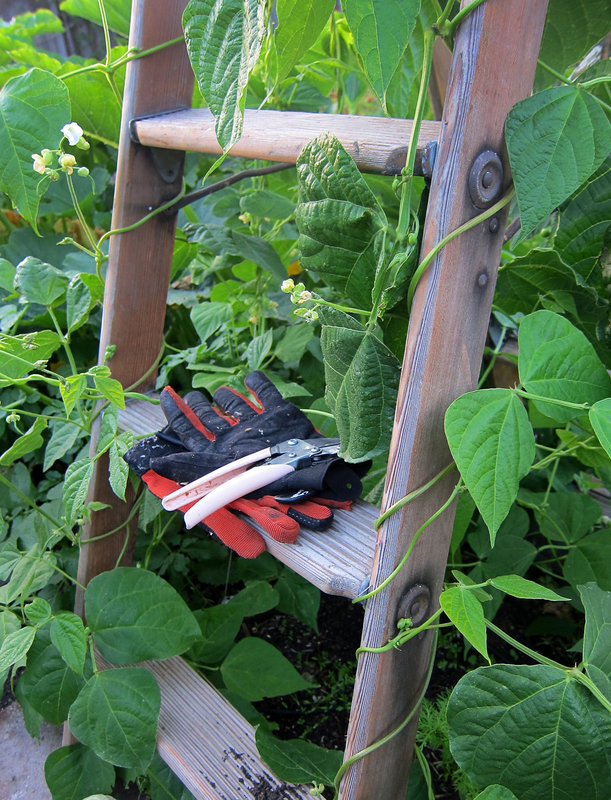 The original ‘Sugar Snap’ was tall and did not hang on well to its trellis; it usually had to be tied to it. And then it got mildew. The first generations of healthier and more manageable snap peas were not worth growing, lacking the sweet ‘Sugar Snap’ flavor and I kept returning to the original, despite its faults. However, ‘Cascadia’ is good and I recommend it. It grows to 4’ tall, easy to reach and maintain. The challenge is getting peas out of the garden and into the soup or the sautéed veggie dish. They tend to be eaten in the garden, and if you share your garden with someone, you have to keep on your toes to get some. 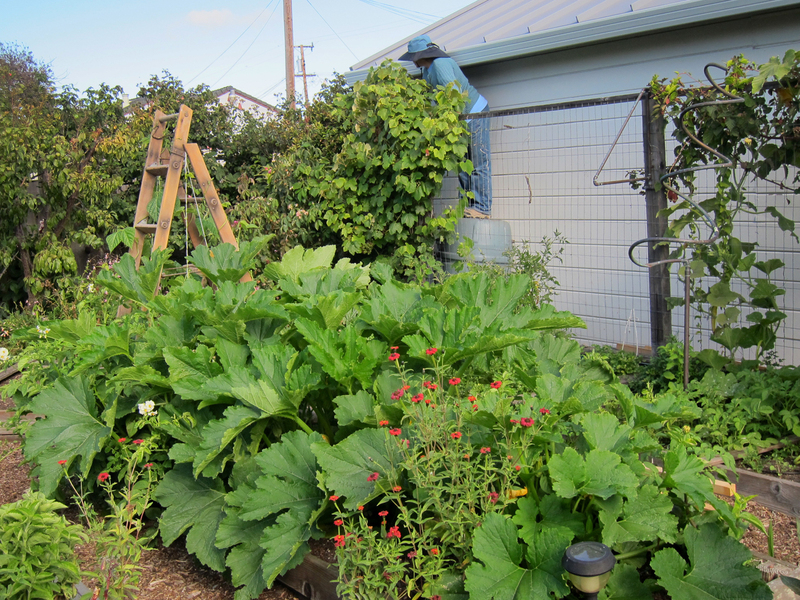 You can grow salad greens all Winter long here in the Bay Area. 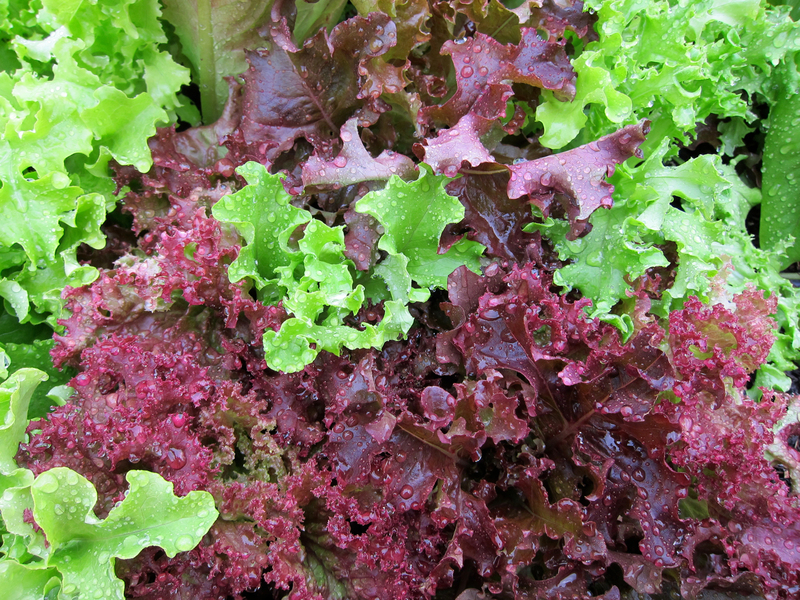 Then there are all the great salad greens you can pick at all Winter long. Lettuces, baby tatsoi, ‘Bordeaux’ spinach – I always have a little of all of them. If you only have space for one thing, try the ‘Provencal Winter Mix.’ It has a little of many kinds of greens and herbs. Parsley and cilantro? They grow very well in those dark corners that don’t get any Winter sun. Then take home some Calendula, Violas and Borage. Adding the flowers makes the salad look really pretty, almost too pretty to eat, but people get over it. This all makes me very hungry, and I’d better get going. Time to get the gloves and clippers out and clear some space. Plant some winter veggies. We can do it. P.S. If you want to see all of the vegetables available on the website right now, CLICK HERE. 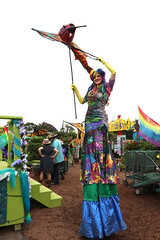 Our First Garden Bloggers Bloom Day! Here in the Bay Area, October is when we finally get a taste of Summer. 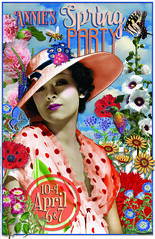 The long days of overcast mornings and cool but sunny afternoons finally heat up and our Indian Summer begins. Right now, I’m thrilled about two super long-blooming low maintenance plants which reside in mutual affection here in a back corner of the nursery. Since so few gardeners know of this amazing Hibiscus, I am probably its number one fan in all the world! (and honestly, I think our staff is a little bit worried about this). Handy-dandy for filling in a large space, it will grow into a dense evergreen base-branching shrub 5’ x 5’ in its first year. 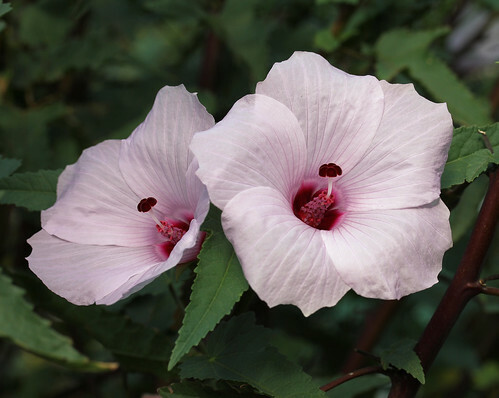 Never showing signs of chlorosis like many tropical species here in the fogbelt, it is most vigorous *and* bloomiferous – bearing huge cotton candy pink flowers from May to December. Prominent and velvety cherry-colored stamens emerging from a rich ruby throat take its beauty ratio to a whole ’nother level! In Winter, I cut it down almost to the ground and each Spring it has bounced back bigger and better than ever. 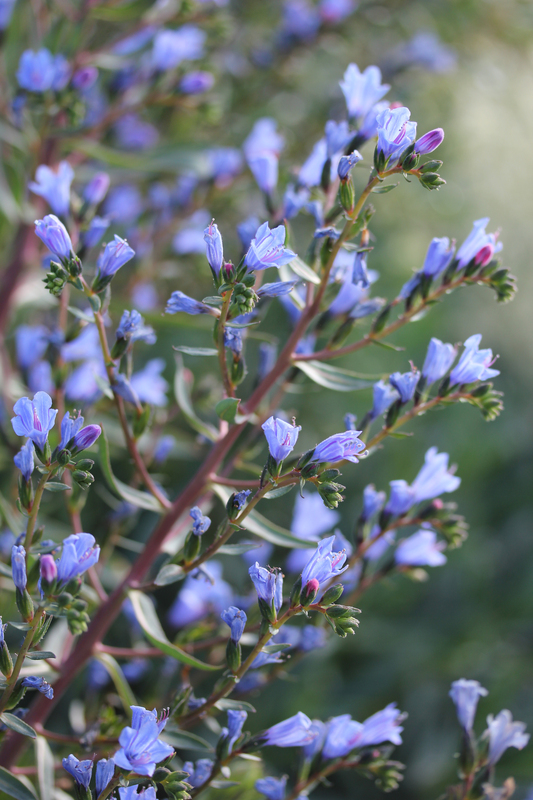 The perennial rebel of its family, Echium gentianoides blooms almost year around here in coastal California. Notoriously difficult to photograph, all who see its large bright blue flower spikes, fine form and complimentary smooth blue-grey foliage in person fall in love and take one home. Luckily, it’s easy and fast, reaching a manageable 4’ x 4’ within a year. 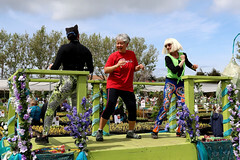 Thank you to Carol at May Dreams Gardens for hosting Garden Bloggers Bloom Day! It’s a lovely honor to participate. Well, here’s my first go at a blog! I’m very happy with ‘Golden Celebration.’ She blooms Spring thru Fall with no mildew or disease here in fog-landia. And she’s a nice size 4’-5’ tall, much more manageable than ‘Graham Thomas.’ I bought her at Berkeley Hort nursery 2 years ago and she has definitely passed the test and is very popular with our staff. 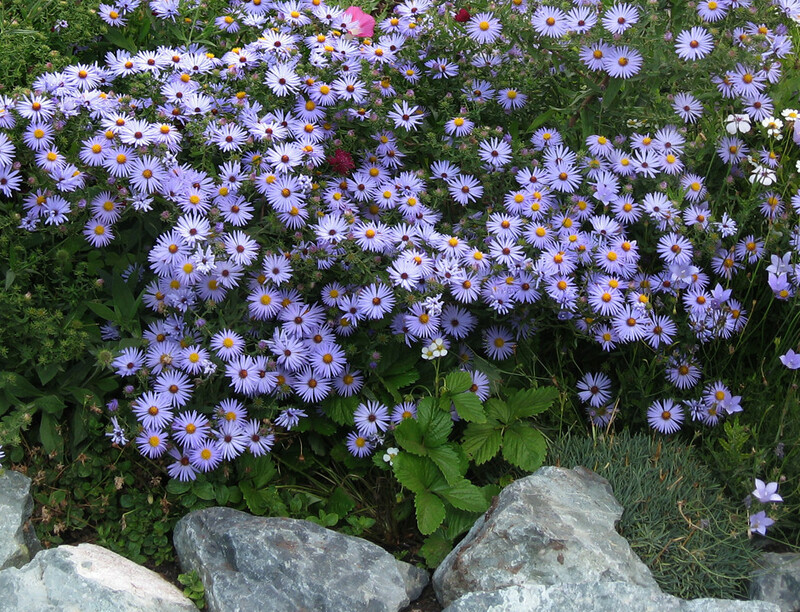 And I think I have found her a fine partner with this Aster. 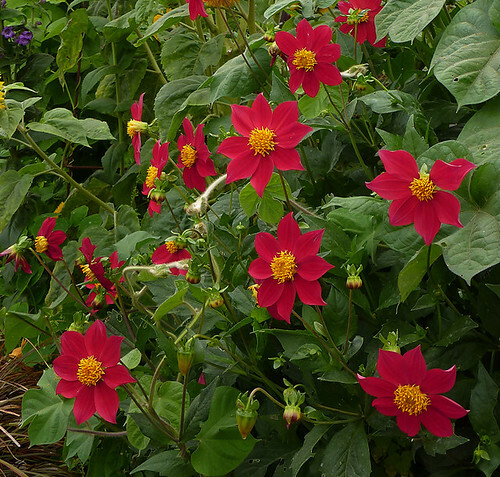 It’s an excellent one with large blooms for 2-3 months or more (with dead-heading) and a good color, not too pale as others can be. It’s a good strong perennial, coming back bigger and bushier each year. Normally, ‘Skyscraper’ grows to 4’ or 5’ tall, but as I got it in late (August), it’s blooming here at only about 3’ (I think I pinched it, too, to help it bush out faster). And there’s another annual – bushy ‘Italian White’ Sunflower just starting to bloom behind ‘Golden Celebration.’ I love how we can plant Sunflowers so late along the CA coast and have them in bloom for September and October. 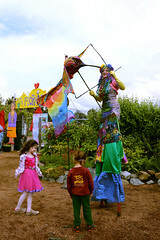 They just bring so much fun to a garden, don’t you think? Behind the Sunflowers are red Dahlia coccineas coming on. Now that the huge Spring-blooming New Zealand Delphiniums have been cut back, there is space for them to grow. 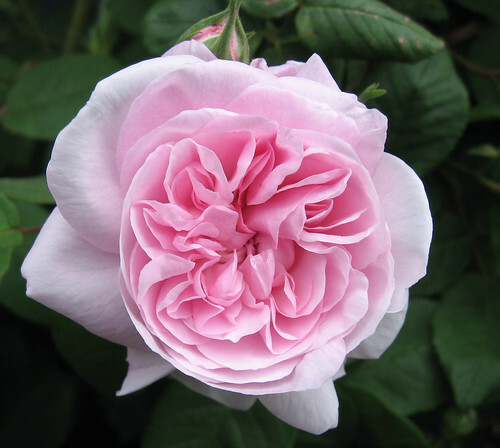 Another ever-blooming Rose with gorgeous girlified old-fashioned flowers and a absolutely heavenly scent. 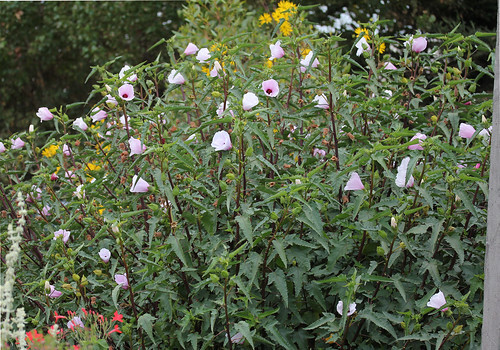 What’s more, it’s completely disease resistant in our gardens. You just can’t go wrong with her. In fact, some mean person once jumped over our fence and dug her right out of the ground the night before Mother’s Day – I’m pretty sure to sell the cut flowers – and I cried and cried. But she came back from a piece of the root left in the soil just as fabulous as before. That’s a tough girl! Yay! Behind ‘Grandmother’s Hat’ is a super cool, tall background perennial that we don’t offer at the nursery anymore since no one ever bought it. 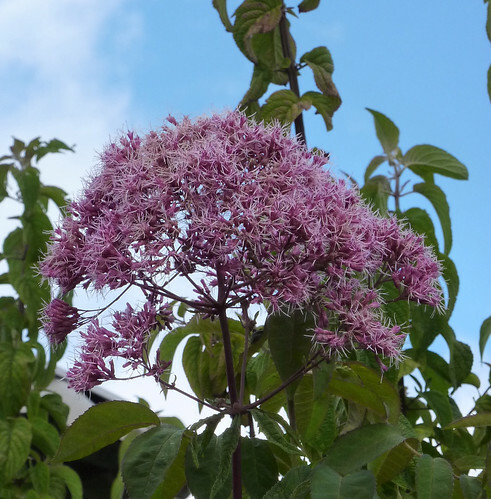 It’s old-fashioned “Joe-Pye-Weed” or Eupatorium purpureum. You’ve probably heard of it, but when was the last time you’ve seen it around? Maybe you East Coast folks can chime in, but I rarely see it out here in California. It is one valiant, long-lived perennial and I don’t think you could possibly kill it except maybe to douse it with poison or never give it any water. It’s fairly drought tolerant, heat and deer proof and returns faithfully each Summer – even when you forget all about it (like me) as it’s deciduous. I’m sure I’ve chopped its roots terribly in late Winter when I turn over the soil during clean up chores but it never seems to resent it. It’s just happy no matter what! 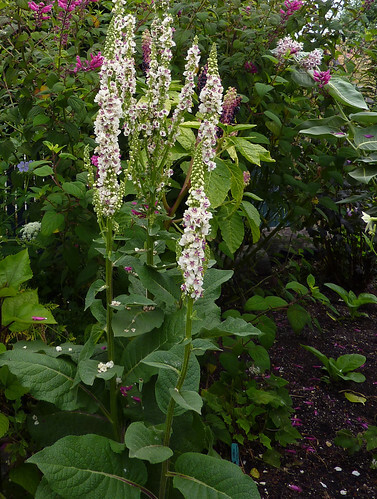 It’ll grow 5’-8’ tall depending on crowding and makes a makes a loveable vertical background much adored by butterflies. The 6” flower clusters are sweetly scented of vanilla, too! 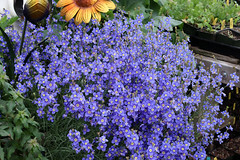 You can find seed for it online -one company I like a lot is Easyliving Native Perennial Wildflowers. In the background towards the right you can sorta see what looks like light yellow pom-poms. 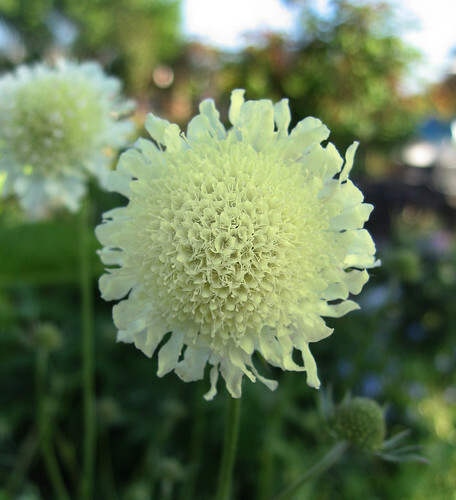 That’s one of my all time favorite (and cottagey) perennials Scabiosa ochroleuca. It’s major bloom for the buck, blooming Spring thru Fall pretty much non-stop (but of course you should deadhead it). 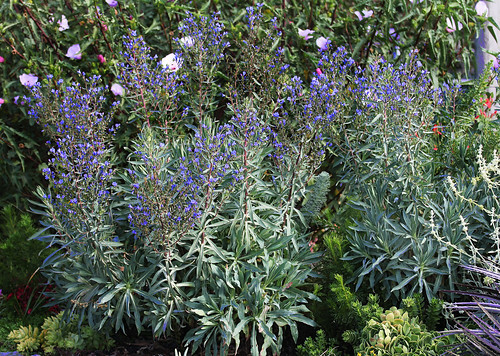 From the Mediterranean, it’s drought and deer resistant and just loves to grow on the edge of the bed where its roots appreciate the extra drainage. Its soft yellow color goes so well with blues and pinks and its stems bounce around in the breeze. If you grow it in your garden make sure you cut it back to the base in Winter so it looks fresh and clean when it bushes back out in Spring. Actually, I didn’t plant them. 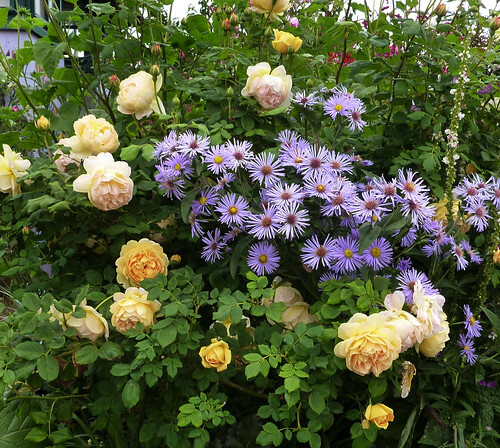 They are all self sown volunteers – and, oh – I do love my volunteers! 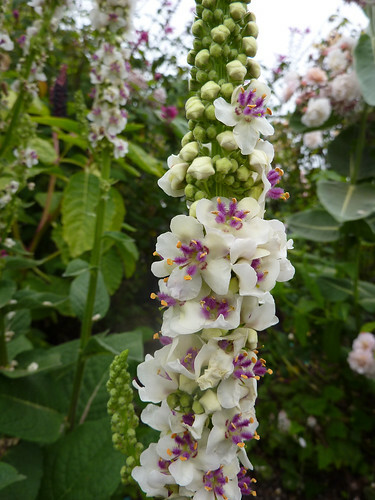 Really, no cottage garden should ever be without this Verbascum (common name: Mullein). Tough and simple, they are truly plant and forget. All I ever do is cut the spent flower spikes to the base and within a month, there’s another one springing up. Not fussy about soil, they’re adaptable to sun or bright shade, are drought and deer resistant and they self-sow so you’ll never have to buy a second one. 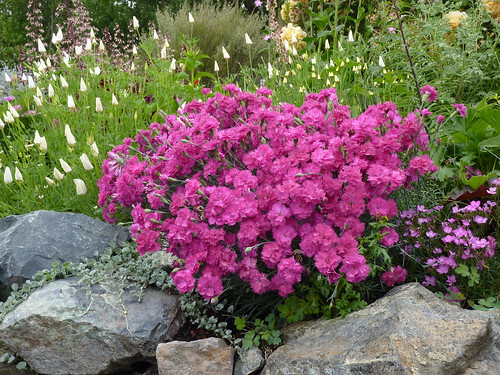 You just get to enjoy the cool and smart places they appear in your garden, like that non-blooming one growing out of the rocks (yep, they’re that tough) right up front. 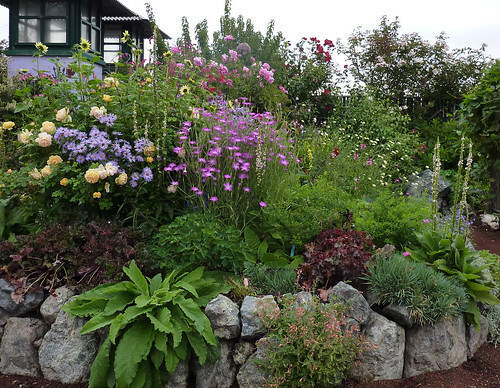 Speaking of volunteers, that’s an Agastache with the apricot flowers also growing out of the rocks up front. I think it’s ‘Apricot Sprite’ or probably ‘Coronado’ (which I like better). The emerald green blobs to the right of the Agrostemma are very late blooming Aster oblongifolius. So late, they aren’t blooming yet. I really planted them too late. Usually, they start blooming in August and go thru September or October but here they probably won’t start blooming till October, when a cloud of lavender blooms will smother the foliage. Nice and dense of form, I thought they remained rather short but recently saw some extremely robust ones in a Santa Cruz garden that were 3’ tall. 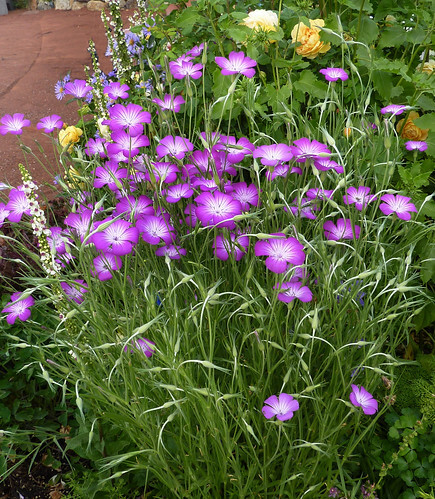 If you’ve got crummy, dry or clay soil, this native of the Midwestern prairies is so sturdy, it will thrive in it. And don’t worry when it goes deciduous in Winter. 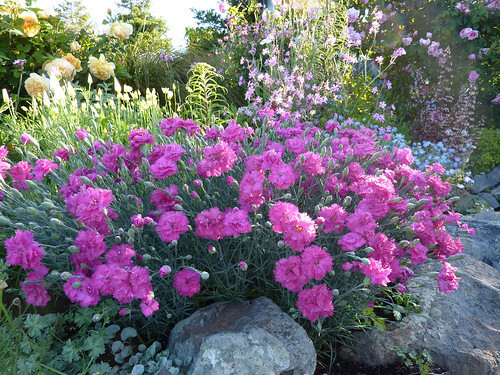 I also have some Dianthus plumarius up front (with the bluish grassy foliage). 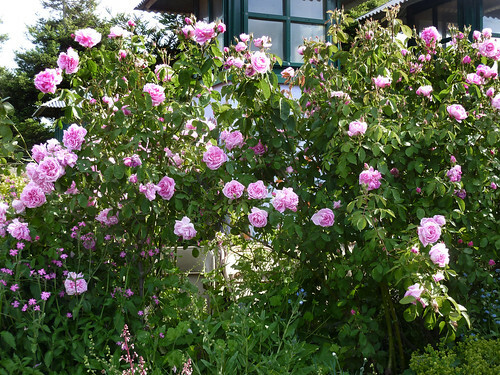 They would be so pretty and blooming right now except that we’ve hacked at them severely to take cuttings so we can offer them as named varieties next year. We normally grow these “Old Fashioned Pinks” from seed and their colors are variable – but these particular seedlings were so lovely, we wanted to preserve them for other gardeners. We can only do that by taking cuttings. Here’s what they would look like if we hadn’t mauled them. I can certainly go on and on about these old school Dianthuses – but I will save that for another rant. Wait, here’s a quick peek at how they looked in the same garden in July. In the first photo above, you can see Columbine (below the Agrostemma) waiting for Spring to bloom again. It’s Aquilegia ‘Blue Barlow,’ which looks contrastingly fab against the ‘Golden Celebration’ Rose. It’s just a little reminder to plant your Columbines in Fall if you want them to get big, bushy and truly bloomiferous come Spring. 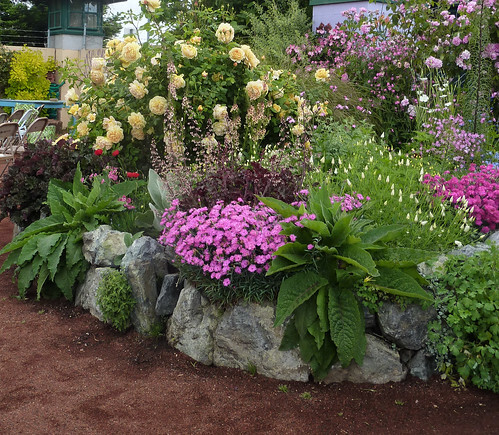 Remember, you want to plant your perennials ahead of the season that they are supposed to bloom. Oops, I forgot the dark foliaged mounds. Most of you will know they are Heucheras and I know for sure that the one on the right is ‘Melting Fire’ – my current favorite red one. As much as I love masses of flowers in my gardens, I’ve come to really appreciate pretty leaves, foliar contrast and as they say “a place for the eye to rest.” Heucheras fill the bill are easy and long lived and then, well, they look extra lovely when they go into bloom in Spring!